Caterina Sforza is a strong female character in the Assassin’s Creed series. Born in the 15th century, she was not simply the quiet and submissive wife of the Pope’s nephew (whom he married at 10), but a strong-willed woman with power, something rare in those sexist and male dominated times. As a matter of fact, she later had her husband Girolamo murdered. And for those who lust after video game characters, she is quite a pretty woman with fine Italian features and who looks regal in her renaissance dress. 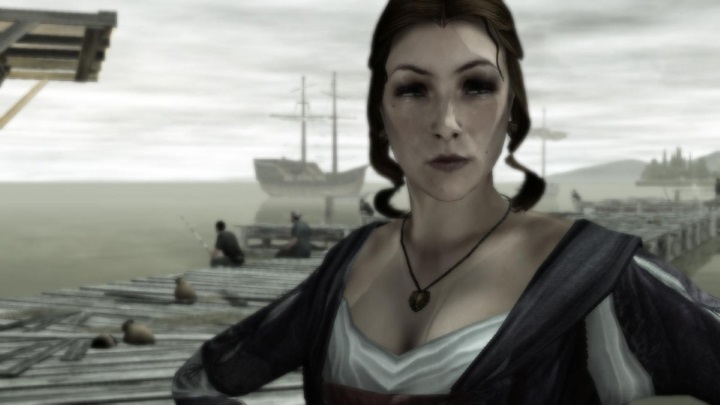 She hit it off with Assassin’s Creed protagonist Ezio Auditore, and they got intimate in Assassin’s Creed Brotherhood (you know, just before the Borgias attacked), in a scene that shows why Caterina is one of the sexiest female characters in video games to date.